Avda Pablo Iglesias, 32, 46970 Aguadulce - roquetas de mar, Spanien. 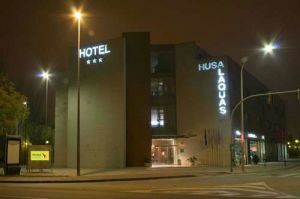 Hotel Husa Alaquas is a newly built hotel which is located in Alaquas, only 8 km from Valencia and near the conference centre and airport. 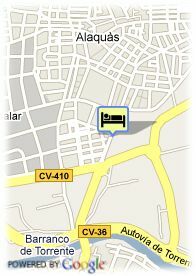 It offers 65 well-equipped rooms with television, phone, air-conditioning and bathroom. It has free WIFI connection. Bezahltes überdachter Parkplätze beim Hotel (8.50 €). ältere Kinder und Erwachsene: 21.40 € pro zusätzliches Bett.